My inner nerd is so excited right now! Seriously, I feel like a giddy little kid. 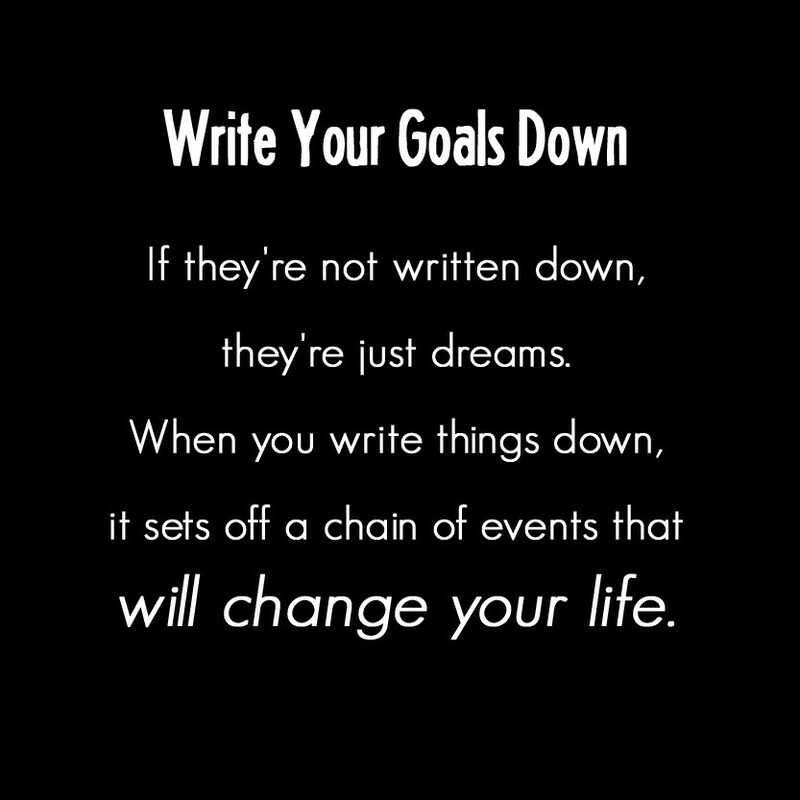 I have always loved the idea of setting goals . I am the kind of person who thrives off of having a specific target in mind & going hard after it. (Honestly, I think everyone thrives off of that.) I have always been pretty solid in identifying what I want, why it’s important, and then making it happen because that’s how my personality works. And I’m just nerdy enough that I have always written my goals down…way before I was mature enough to realize how important it is. But confession time…for some reason I have struggled with focusing and accomplishing what I want to/need to over the last few months. I haven’t really been working towards anything specific like I usually am and it has led to me being complacent in every area. That lack of discipline is not good & I know it does not honor God, so it is time to get back on track. I know some people think it’s cliché to set New Year’s Resolutions or goals….but I can’t think of a better time for a fresh start. There were a lot of blessings in 2014, but there is a lot of room for growth and improvement. We want things to be different and better in 2015, and “for things to change, we have to change.” Why NOT start now? One of my favorite people gave me the gift of Power Sheets this year, and I finally whipped those bad boys out last night. 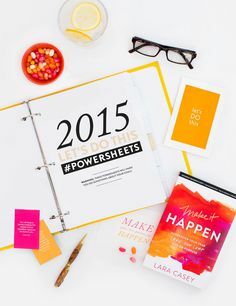 Jonathan and I blocked off 2 1/2 hours after Jase went to bed to go through some of the PowerSheets, reflect on 2014, set some (seriously BIG) goals for 2015, & plan for the upcoming year. We also worked on creating our 2015 monthly budget. (I recently started reading Dave Ramsey’s book The Legacy Journey: A Radical View of Biblical Wealth and Generosity & it inspired me to start revisiting our budget more often.) Not going to lie…I know it was a little uncomfortable for Jonathan (because he told me it was), but he was a total champ & felt really good about it afterwards. Obviously we totally trust the Lord and know that ultimately He is in control. He could change our entire path tomorrow. But for now, while He has us on this path, we want to be great stewards of everything in which God has entrusted to us. That means working hard with intentional, focused effort and making the BEST use of our time, talent, & resources. The only way to do that effectively is to have a vision for our family and future and set specific goals to help us work towards that vision. 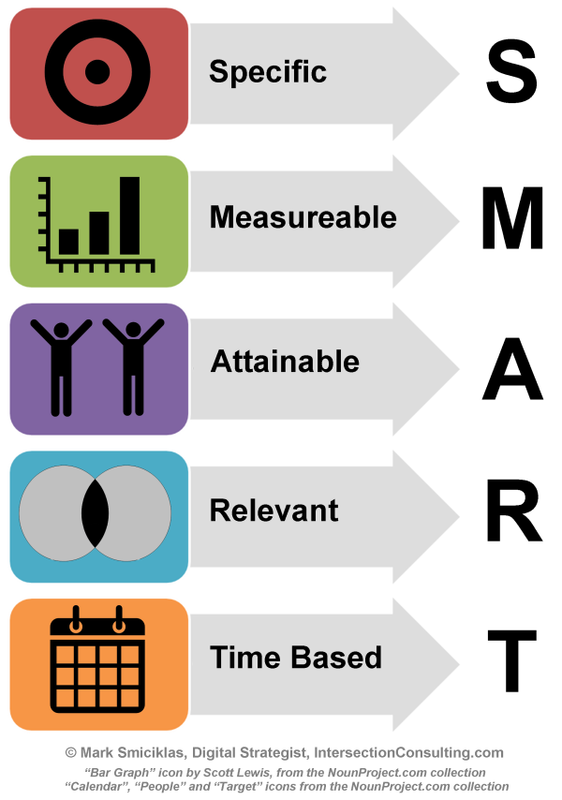 We have been taught that goals must be SPECIFIC, MEASURABLE, ATTAINABLE, RELEVANT, TIME BASED, & WRITTEN DOWN. We took some time to go through our family & individual goals and write them down into categories. Sometimes I write all of my goals out on the blog, but this year I really feel led to keep most of them private. I will include a few examples though. Spiritual (as a family & individual) : Read Jesus Calling together at the breakfast table and look up the verses. I typically read this by myself and don’t always look up the Scriptures. We eat breakfast together every single morning, so this is a perfect time to do a family devo, right? We typically listen to Herman Cain on talk radio, but we can do that after our devotion. Also, I want to memorize a new verse each week and work on teaching it to Jase. Parenting : Transition Jase to a big boy bed & potty train him. Get the new baby on a solid schedule. Home : Get a new mattress for our bedroom & purchase a generator. Do some grading in the backyard. Deep clean 1x per month. Build a mud room at entry way. Have couches professionally cleaned. AdvoCare (personal goals): Earn both corporate incentive trips for the year. Earn NLT. 9* by Aug Success School. AdvoCare (team goals): Help over 100 families on our team earning $1000+/month by Dec 2015. Help 10 team members achieve the Ruby leadership level. Debt : Pay $x extra towards principal on our mortgage each month. Financial : Make max contributions to IRAs. Giving: Serve at least once a month in a ministry outside of our church. Personal Growth : Each read at least 1 personal growth/leadership book per month. Other : Update our will & print blog books. We also talked about where we would like to be by the end of 2015 and our 5 year and 10 year vision. Once we wrote out those goals, I wrote down a list of some of my specific goals for January and went through my EC Life Planner so I could put specific tasks on specific dates. I worked on my daily schedule and blocked out certain times (like when Jase is napping or after he goes to bed) to get some things done. We also wrote out our monthly budget and our top 4 financial/saving/investing goals (on the same piece of paper) so we can post it in our house. It’s important to keep it in front of us and remind us what we’re working towards. This is where that T chart of “I want…” and “Get rid of” lists can come in very helpful. I wrote more about that in this post: Some Thoughts on Finances. Jonathan and I both really appreciate organization and thrive off of having a target in mind. We both feel super confident and excited about our upcoming year, and from a marriage standpoint it helps to be on the same page, to know exactly what you’re working towards, and most importantly, WHY that is important. Non-specific goals get non-specific results…and unfortunately, lots of people wander aimlessly without ANY goals at all. That day-to-day grind with no big picture purpose or vision is depressing- almost hopeless. I know lots of people aren’t taught HOW to create goals, so I hope this helps some. I know I am definitely not an expert, but I can tell you this works for us and it’s absolutely worth carving out 2-3 hours to work through this. Of course it doesn’t end there. You have to take time frequently (at least once a month) to revisit and evaluate how you’re doing. Measuring progress is important & encouraging, so don’t forget about that part too. Here’s to hoping your 2015 is the BEST yet!! This is absolutely wonderful and challenging!! I have been working on my personal goals and this helped spur me on!!! I loves this. Goals like this have been on my heart lately and it was refreshing to read some of yours. Can you share how you print blog books too? I love this! I, too, have always written down my goals. I had slacked off for a while--mainly because those around me don't write down their goals for fear of not achieving them. I realized that when I write down my goals, I usually accomplish them. 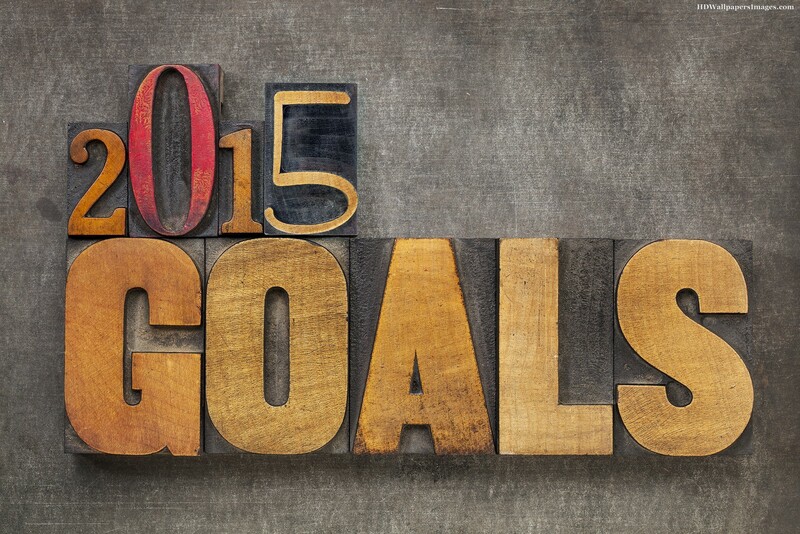 I have embraced my nerdiness--2015 goal setting is on right now! I love your blog and your family. Thanks for sharing your life with us. Have a blessed 2015! !